Your Donation enables cancer patients to receive the CAM treatments needed to fight this debilitating disease. 65% of all cancer patients who use Complementary and Integrative Medicine (CAM) experienced a reduction in pain and an improved prognosis. All donations are for patient alternative medical health care. CURRENT FINDINGS BY THE LARGEST US INSTITUTIONS FOR INTEGRATIVE MEDICINE SHOWS PROMISE! 52% OF CANCER PATIENTS WHO UTILIZE CAM TREATMENTS RECEIVE RELIEF. 1. Americans spent $14.7 billion out-of-pocket on visits to complementary practitioners such as chiropractors, acupuncturists or massage therapists. That is almost 30 percent of what they spent out-of-pocket on services by conventional physicians. 2. Americans spent $12.8 billion out-of-pocket on natural product supplements, which was about one-quarter of what they spent out-of-pocket on prescription drugs. 3. The average per user out-of-pocket expenditure for complementary health approaches was $435 for people with family incomes of less than $25,000, and $590 for those with family incomes of $100,000 or more. What is a Grant Fund and how do they work? eFundYourHealth differs from other crowdfunding sites in that we also have a parallel process which allows corporate and individual donors to contribute to a Grant Fund pool designed to assist individuals in meeting their financial needs for their treatment and care. As a Donor, you donate to the Grant Fund(s) of your choice. Grant Funds are broken out by disease category. For example, you may want to donate money to help all cancer patients, or more specifically those with breast cancer or someone inflicted with Crohn's disease, etc. You designate which disease category you want the money to be used for. eFundYourhealth then distributes that money by allocating the funds already raised by each person who starts a campaign at eFundYourhealth.  Patients start a crowdfunding campaign on eFundYourHealth, and at the end of the campaign, they will receive a supplement of the money they raised in their campaign currently $250. We will advertise the amount we are matching on the top front banner of the website. As a Grant Funds Donor for a disease category, you receive a tax deduction, but you will not be able to select a specific patient that receives financial assistance. However, you are still free to donate directly to any patient campaign which would not be tax-deductible. Simply choose Grant Fund by clicking the ‘Give Now’ button. You can enter the amount of your donation, then proceed to the checkout page. What do I get for my donation to a Grant Fund? Do you feature me as a sponsor? Please contact us directly for ways in which eFundYourHealth can demonstrate your generous support to those in need. Do you accept donations from outside the USA and is my donation tax deductible? Yes, we do accept donations from outside the USA. eFundYourHealth is a non-profit, 501(c)(3), incorporated in the USA. Our USA Tax ID # is 43-3705168. When you donate to a Matching Fund, you will receive an automatic receipt from the transaction as proof of your donation for tax purposes. As each individual’s situation is different, be sure to verify the donation as tax deductible with your tax advisor and/or country of origin. Are there any fees to use eFundYourHealth? Yes. eFundYourHealth uses 5% of the Grant Fund donation to help cover some of the organization’s operational expenses. There are additional credit card fees (up to 2.5%). Grant Fund donors have the option to increase their donation to cover these fees as well. How will I know if my money is being used for uninsured medical care? eFundYourHealth sends a debit card to the Patient. This debit card can only be used for complementary, alternative, or integrative care. Every transaction contains a category code. Our debit cards are set to only approve codes within these approved medical needs. Read more here. Yes! Please let us know how you would like to donate. We can receive checks and direct bank transfers. How many campaigns can a patient make per year? Patients can create a campaign twice per year.